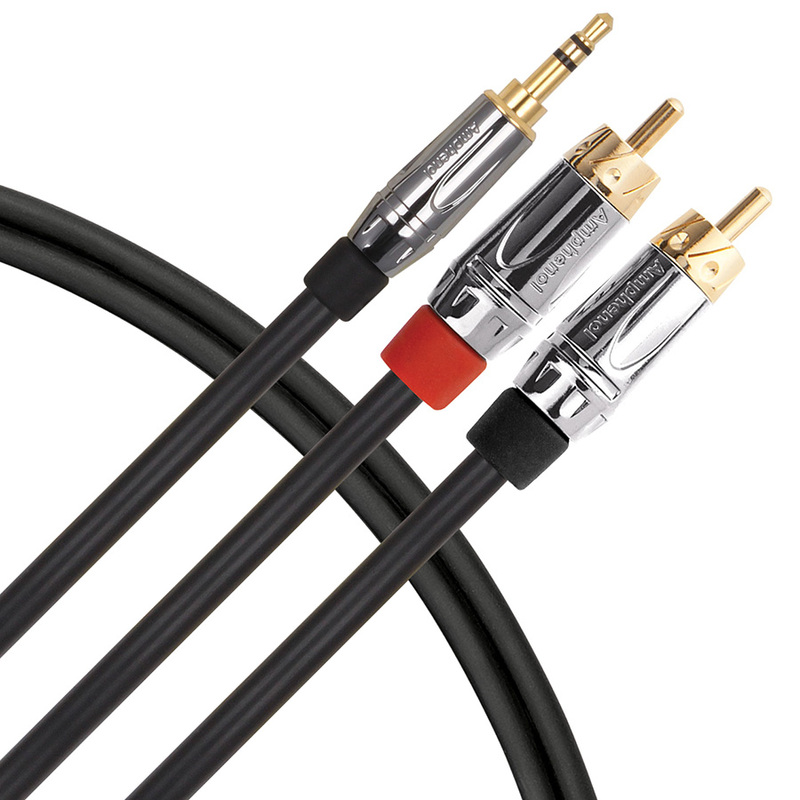 Livewire Elite interconnect cables provide the highest standard for pristine, transparent, uncolored audio for studio, stage, or broadcast applications. Elite EYER premium splitter cable stereo 3.5mm TRS tip ring sleeve male to dual mono RCA male connectors. Gold-plated amphenol secure-fit connectors, 100% oxygen free copper, and braided shield yield crystal clear, low-noise audio with maximum EMI and RFI rejection. Perfect for connecting computers, tablets, and MP3 players to your audio system. Guaranteed for life!